In these one-hour seminars, PhD experts teach students about career fields in both the private and the public sectors. These focused spotlights provide students with the opportunity to explore what it takes to be successful in a specific career. Learning prompts help students apply what they learn to their own job search. • Describe the purpose of market research. • Translate their academic skills for a market researcher position. • Recognize the tasks associated with a market research project. 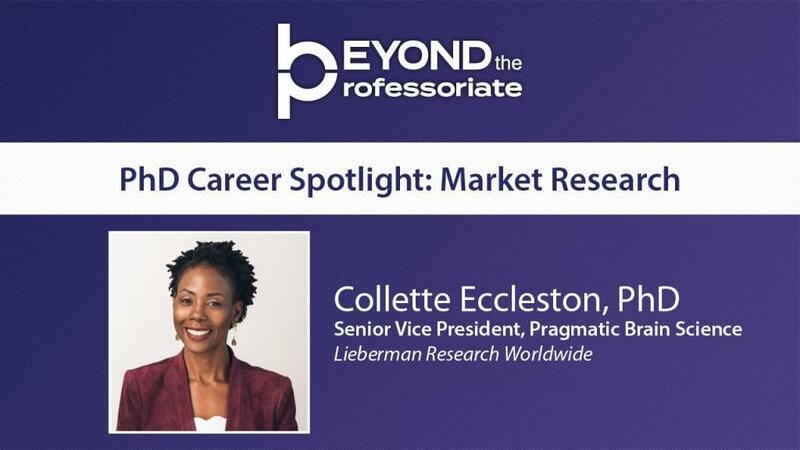 •Determine whether market research is a good career option. 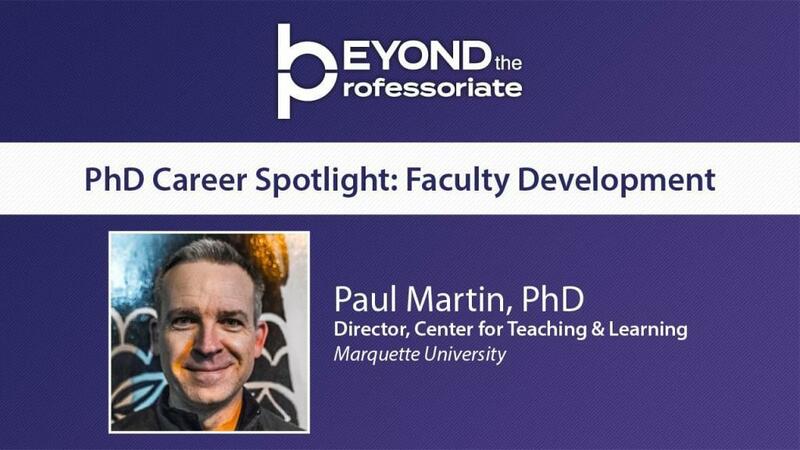 • Describe the role of a faculty developer and their typical work activities. • Identify a potential path to this career. • Assess whether faculty development would be a good career option. • Identify the required skills for success in the field. • Define Instructional Design and recognize similar jobs in the educational technology field. • Describe what Instructional Designers do and locate positions in a variety of industries. • Identify the transferable skills acquired through their graduate studies. • Apply strategies to enhance their employable Instructional Design skills. • Prepare for a transition into the corporate sector. • Define start-up and enterprise culture. • Identify the benefits of starting in an entry-level position. • Apply four strategies to ensure a successful career transformation. • Describe what a data scientist does. • Identify the transferable skills cultivated during graduate studies. • Recognize the main roles of a data scientist. • Apply strategies to develop any skills that might currently require strengthening. • Identify the transferable skills acquired through graduate studies. • Define what government policy work entails. • Promote their relevant transferable skills and experiences. • Apply strategies to enter the government as an employee. • Interpret a Government of Canada job advertisement and match their skills to the position. • Identify the skills required for success in product management. • Create strategies to transition into this career path. • Determine what positions would be a good fit. • Identify marketing methodologies and activities. • Recognize potential paths to a marketing career. • Distinguish how marketing is a relevant career for PhDs. • Apply strategies for pursuing a career in marketing. • Design their career path in the private sector. • Apply strategies to map their career journey. • Focus the job search. • Define what they want to do and where they want to do it. • Define program management and project management, and recognize how they differ. • Describe the applicable skills acquired through graduate studies. • Create development or training opportunities to increase their experience in these fields. • Apply strategies to transition into theses careers.